The temperature is supposed to be somewhere around 119 degrees tomorrow, and about the same all weekend. Ugh. Any time the temps climb over about 110, I put out frozen water bottles for the animals so they can huddle up next to the ice to cool off. I put out paint roller pans full of water for the chickens to stand in year round – they cool off by wetting their feet, and paint roller pans are a safe way to give them access to shallow water. I turn misters on for them in the afternoons, but this summer with four stalls full of critters, my 10′ misting line just wasn’t adequate. The long, pre-made misters have too many heads on them for my purposes – it just ends up flooding everything. I needed a long line (like 50+ feet) with just a few misting jets on it, so I decided to make one. I picked up some supplies from the landscape irrigation section and put together my own misting lines, and so far everything is working great. 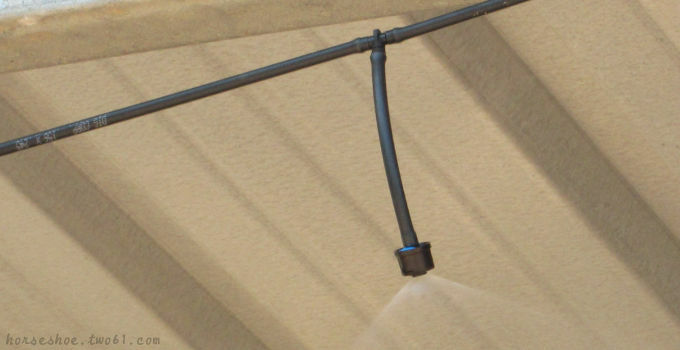 This is a really quick, easy and inexpensive way to run misters along your stalls, barn or out in the pasture. Honestly, I spent more time searching for the hose-bib to 1/4″ tubing adapter than I spent assembling them. My 50′ line with four misting heads came in at about $12. I ran a second line out into a tree in the pasture and popped a mister on it, too, so the animals have a nice shady, cool spot out there. 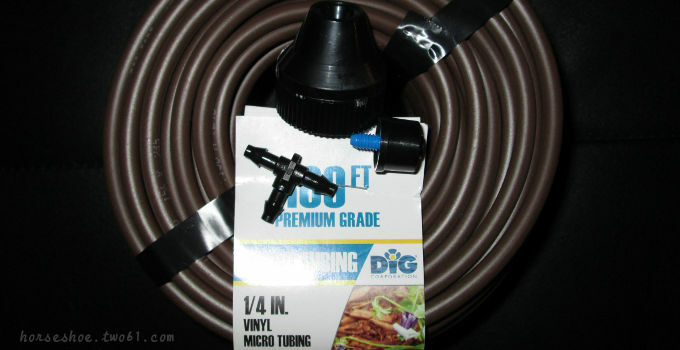 1/4″ Vinyl Micro-Tubing/Drip Line – they sell them in 50′ and 100′ rolls for $5-$8. Note: Get the “premium” Vinyl, not the Poly. The poly tends to expand in our extreme heat and the heads start popping off. Mister Heads. Mine were called “Foggers” and came in a package of 5 for about $4. 1/4″ Barbed Tees. You’ll use these to splice in everywhere you want a mister head. My package of a bunch more than I needed was a dollar and change. Something to hang it with. I had some baling wire laying around, so I used that. Worked fine. 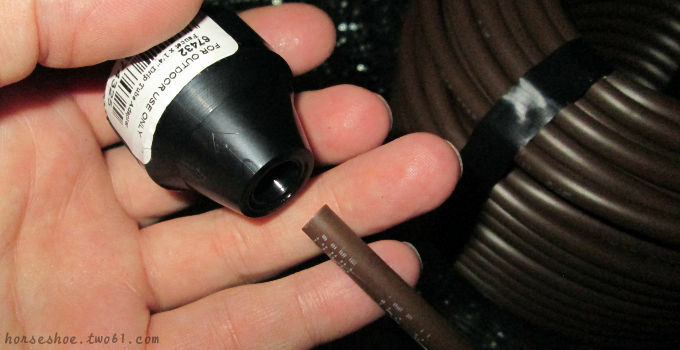 Push one end of your 1/4″ tubing into the little hole in the hose adapter. It looks like it’s too big to fit, but it will. Jamb it in. 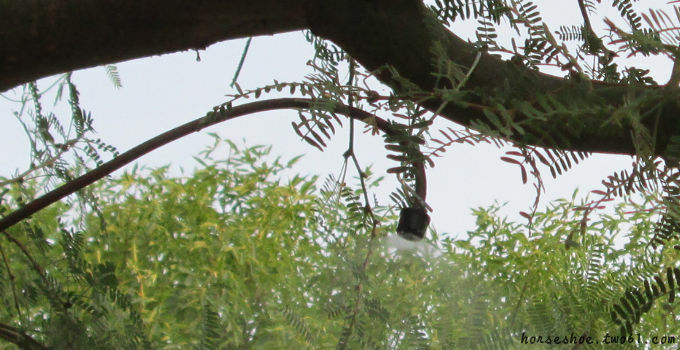 Stretch your line out and cut the tubing where you want to place a misting head. Cut another 2″-3″ long piece to use as your misting head line. Push a tee into the ends of both tubes and screw your misting head onto the end. Attach your tubing to the third end of the tee and carry on. Save one misting head for the very end of the line. String it up with wire, zip ties or whatever you have sitting around and you’re done! This is such a GREAT idea. I found this yesterday morning on Pintrest, on my way home from work I stopped at Home Depot and picked everything up. The total cost was $21. I set up a whole system for our chickens and goats by the time the sun went down. Thanks! You’re welcome! Glad it worked for you. Mine’s holding up well. Following your instructions, we just set this up last weekend for our chickens 🙂 I’ve read getting an in-line filter is sometimes needed for our hard AZ water (I think we live about a mile from you 🙂 )….have you needed one? Thanks! I haven’t added a filter, but I recently popped off a couple of heads and soaked them in vinegar to de-calcify. We have VERY hard well water here. 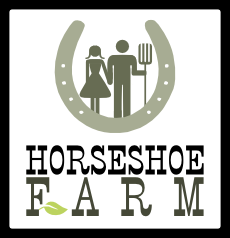 I am going to do this over the weekend for my horse stalls. Heat index in FLA is 110 and my older horses have stopped sweating. Thanks. That’s a great idea! These misters were really easy to make. I’m sure the kids and dogs will love them. Is this system still working really well for you? How far down or out do the missiles reach two or three feet or more? Do they drip it all or is it a really good mist? I have a birthday party coming up here in the big old heat of Texas and I’m hoping to do this to cool down my party-goers. It is working well for me. We have extremely hard water, so I have to pop the heads off and soak them in vinegar occasionally, or they will clog and/or drip. If you’re installing for a party, they should work great without dripping. Just expect to have to soak in vinegar from time to time to clear out any clogs from hard water build-up. 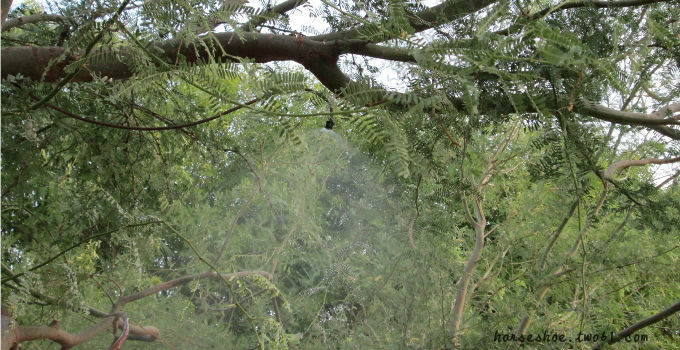 How far the mist will reach depends on the brand of mister heads you buy and how windy it is. If in doubt, use an extra long line to attach the mister heads, then trim it back if needed.